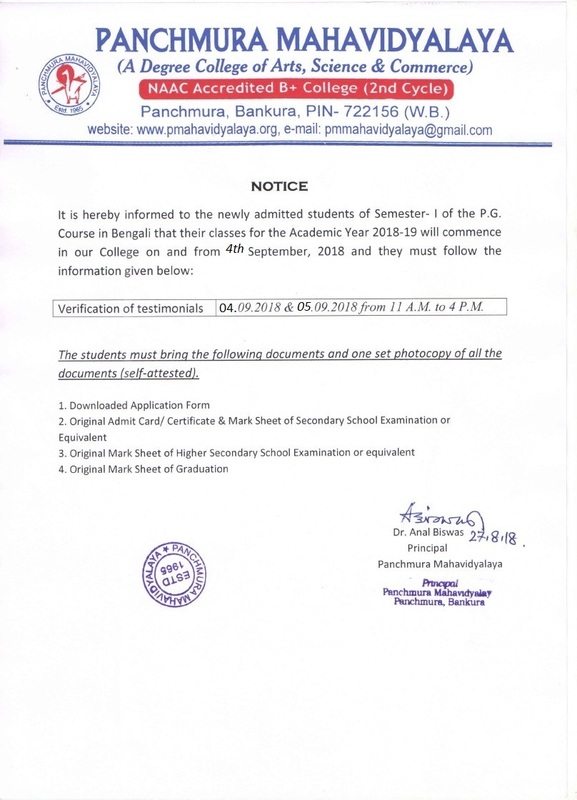 After its establishment in 1965, Panchmura Mahavidyalaya has got the affiliation to open Science Stream in General Course under the University of Burdwan in 1985-1986 Academic Year. Twenty years later the University authority extended the affiliation for opening Honours course in Mathematics in 2005-2006 Session. Since then the department has been providing the Honours degree in Mathematics to the local students of rural Bankura area as well as to the students from other districts. The teachers of the department are very sincere, students friendly and updated. Classes are held in a regular way and special attentionis given to the backward students. The results of this department are also praiseworthy. Many students obtained 1st class, some achieved rank in the University Exam, and many of the students have got their master’s degree and engaged in jobs of different sectors. Facilities: There is a well-equipped Computer Laboratory dedicated to the students. There is also a departmental library for the immediate requirement of students as well as teachers. The department with the help of college authority is always endeavouring its best for the welfare students from the society.